Manufacturer of a wide range of products which include pin insulators for power plants. 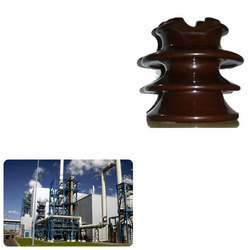 Our esteemed clients can avail from us a qualitative range of Pin Insulators for Power Plants. The offered pin insulators are precisely designed by our hardworking workers. We keep our developing procedure always updated along the changing market trends in order to fulfill the customer’s demands. Along with this, these pin insulators are provided with different specifications & various packaging options. Looking for Pin Insulators for Power Plants ?